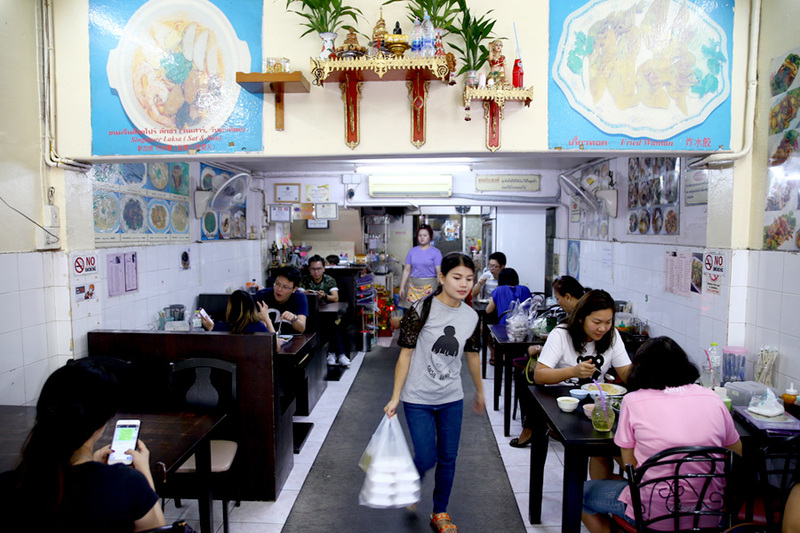 [Bangkok] Singaporeans going to Bangkok to eat Hainanese Chicken Rice. Strange, right? 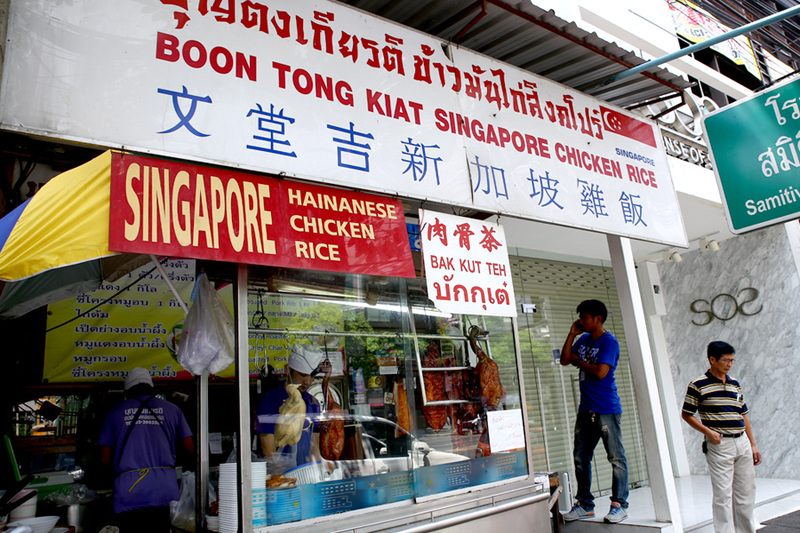 The name of this Singapore style chicken rice shop is called “Boon Tong Kiat”, and one may just wonder if it is a ‘cheong’ (copy) version of the famous Boon Tong Kee back home. I only went to try after asking for food recommendations from the baristas at The Commons, who all pointed to the direction of this eatery serving ‘khao man gai’. 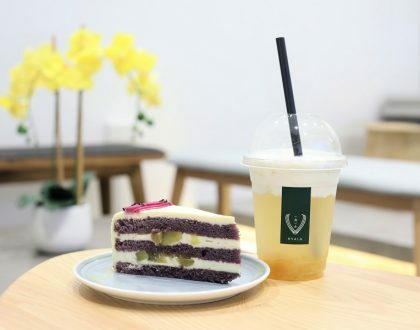 The shop wasn’t that difficult to find, on the main road of Thonglor Soi 16, and it looked like one of those old-school coffeeshop I used to go to during my growing up years. Chopping and preparation of food was done outside, eating inside. 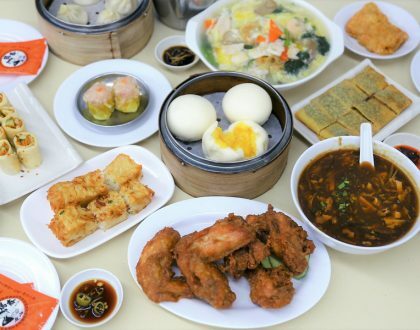 Boon Tong Kiat was originally founded by a Singaporean. 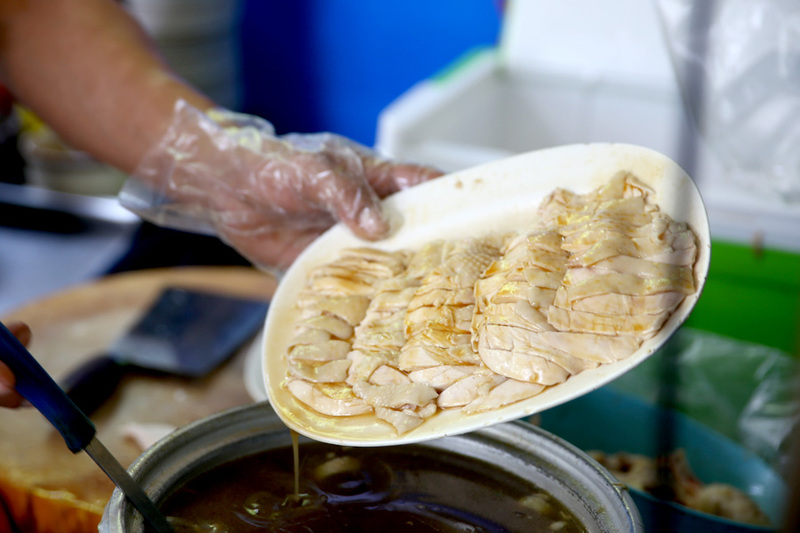 However, he has left the business and it is now run by a Thai family who used to work in the restaurant. 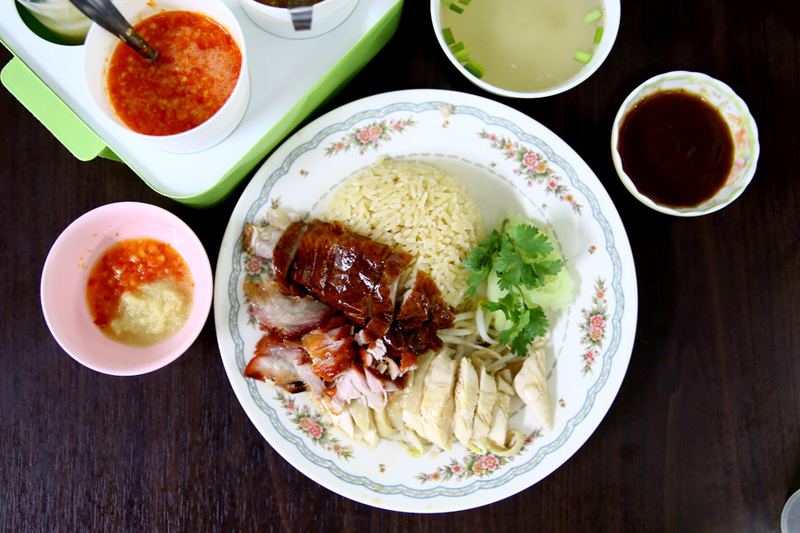 The menu offers a splattering of familiar Singapore local favourites, from Chicken with Garlic Rice (65 baht), Duck with steamed rice (79 baht), Red Pork with steamed rice – that’s char siew (69 baht), Red Pork Noodleswith Dumpling Soup (69 baht), Singapore Fried Carrot Cake (115 baht), Fried Rice (120 baht), and Hokkien Mee (120 baht). 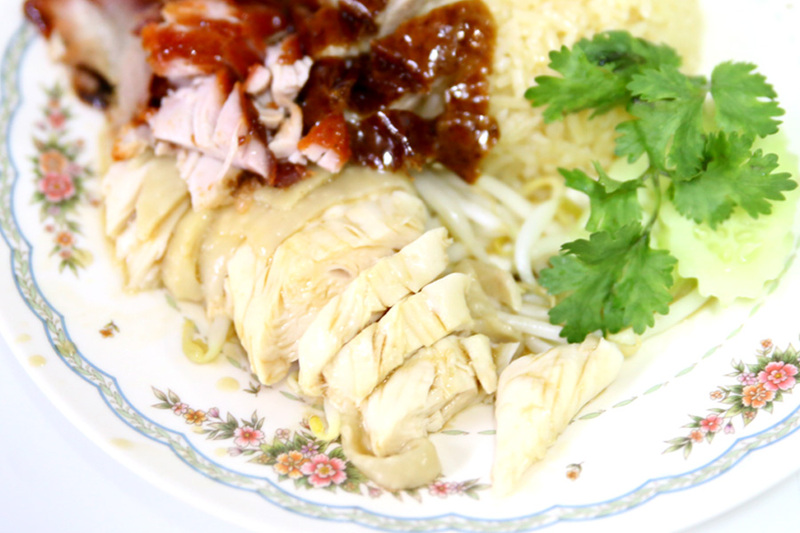 There is also a dish more commonly known as ‘Singapore Som Tam’ here, which is our Rojak (105 baht). Don’t go near there. Waiting took a while. 20 minutes, as the person in front ordered a hundred packets and the server decided to go by sequence. The moment of truth. 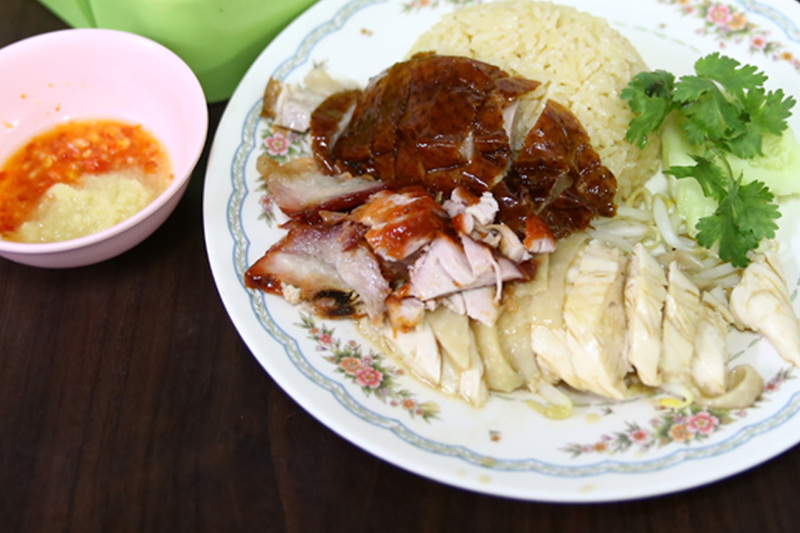 The Chicken with Garlic Rice (65 baht) arrived with oily and richer coloured looking rice than the usual, complete with poached chicken glistering in a soy sauce and oil combination. The plate was actually legit. 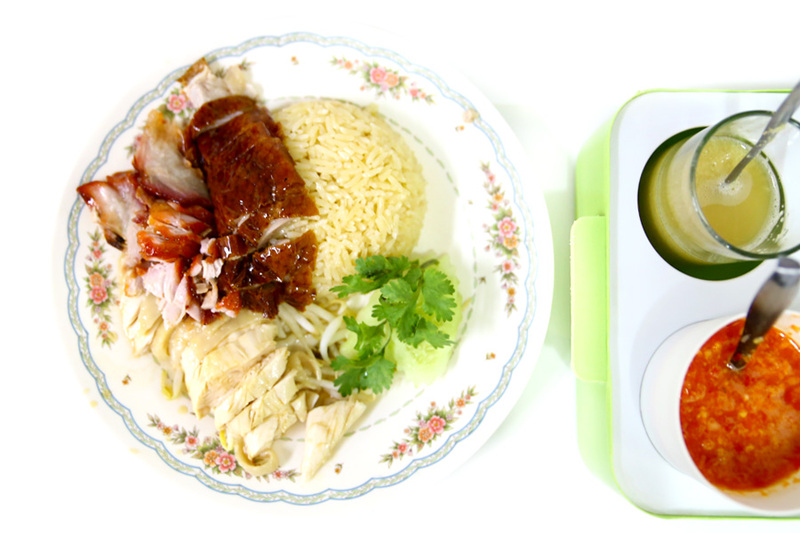 There was this pleasant bite and garlic ‘fragrance’ to the flavoured rice, the chicken unexpectedly tender and moist. However, if I were to do a side by side comparison, I would still prefer the fluffier, moist rice back home as this turned out to be slightly on the dry yet oily side. 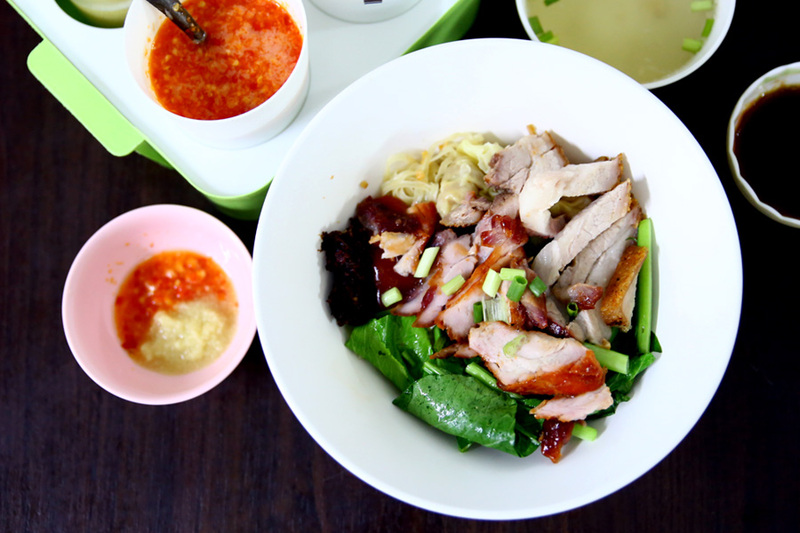 While the Red Pork Noodles was nothing to scream about, the top-up of Crispy Pork with that signature layer of crunchiness and fats, turned out to be the saving grace. Interesting to note that other the signature chilli sauce and garlic paste, Thai style chili was also provided – which I dropped into the egg noodles to add some taste. 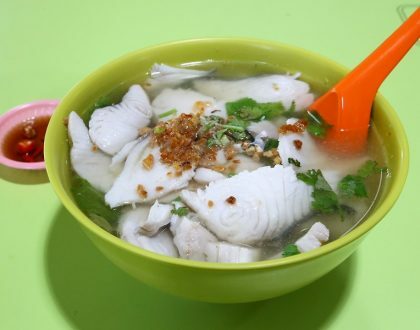 If you are Singaporean and crave for home, I think Boon Tong Kiat is a worthy alternative.